Isolated individuals zigzag over system limits. Isolated individual zigzags over system limits, and even if he doesn’t understand it because they were enculturated in competition values, he needs the others. “You cannot fight alone without tiring yourself” (Story of a Stairway, Buero Vallejo). Yeah! Long time ago, Buero wrote this awesome narration –I fervently recommend you- anticipating market economy impacts on unstructured social cells. A disturbingly accurate description even nowadays… By the way this book is a good example to understand the difference between art and mere serial light entertainment. Just think about who is gonna cite ‘The pillars of the earth’ in 60 years’ time? The Internet is like Buero’s stairway, but projected into a planetary scale. Stephenson’s (Snow Crash) was a clairvoyant. His foreseen network scheme, whose epicenter was homogenous and uniform, makes already sense. And it is possible that Internet conspicuous area continues infra-representing minorities as Leung (Virtual Ethnicity) pointed. But it has rained a lot since then. Yes. Fortunately. The individual, who was a mere audience element, can now emancipate himself / gain emancipation thru his action, integrated in participation networks. But, how is it possible to achieve this ubiquitous action ‘anywhere distributed, continuously valorized, and synergized in real time?’ (Again Levy). This could only be realized by merging a new relationship network scheme and extended interactivity capacities, unavailable before Internet participative maturity. A ruthless jump from a technological point of view, but which needs even more in-depth conceptualization efforts to embrace new social and mental institutions. A jump requiring an opposition to ‘the obvious’ dictatorship, unlearn the reproduction scheme destroying participation horizontality (From a Bourdieu point of view). Internet is a non-conventional mass-media. It’s true: huge opinion creation conglomerates are taking the lead. But it’s equally true that an alphabetized in new storytelling and technological posibilities society, could appropriate this media to re-write a new unstable equilibrium in which power relationships were not so suffocating. 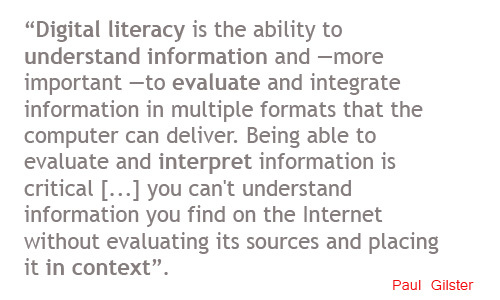 This is exactly the reason for the convenience of an effective media literacy education. Although some others will judge it inconvenient ;), taking into account this will make us to become ‘dangerous people’ for the system (R.I. Correa). And, here is the good news: this appropriation is taking place right now. Counter-hegemonic networks, created offline, have migrated a significant part of their activities to the Internet, making them more robust, enhancing their mobilization and goal-reaching ability. Network organization as well as ideas, doctrines, strategies and technologies aligned with it, boost goals achieving in charity orgs as well as in cybernetic guerrilla gangs. It seems the Internet belongs to all of us. And for the very first time we have an open field to experiment… this if educational leaders (politics, programmers, center directors or teachers) persuade themselves that just sporadic ‘advertisement language analysis’ is not enough. 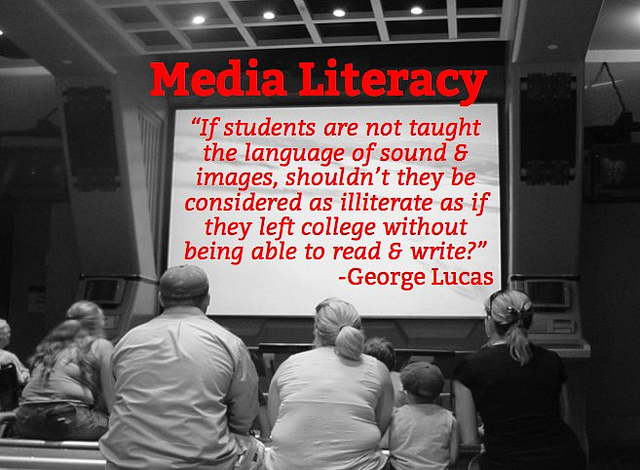 The whole reality is built with advertisement techniques by broadcasting corporations and it requires in-depth media literacy programs without complexes.